The early 1790s witnessed major crises on a number of different fronts from the perspective of the federal government. It faced domestic unrest from the backcountry. On the international front there was trouble with France and England. 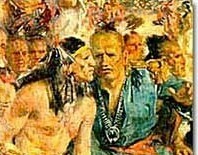 What were the impacts of American independence on Native Americans?